HP are shaking up their product portfolio with an exciting launch today with the addition of 5 NEW models. 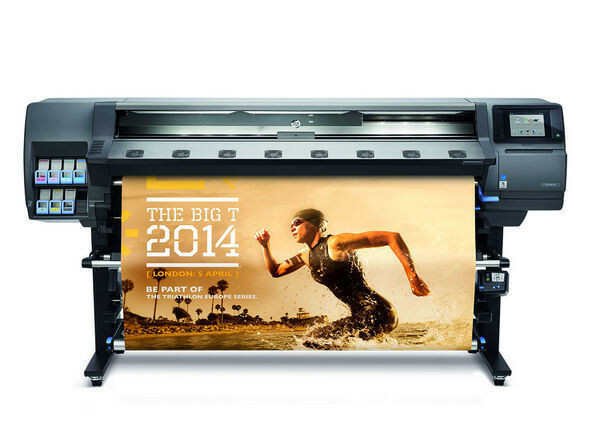 The HP Latex 300 series & two Aqueous Designjet Z series machines to replace the outgoing 60-inch variant of the Z6200, the 42" remaining in the portfolio. The 300 series features three models the production workhorse Latex 360 a similar platform machine the Latex 330 printer and for the first time a smaller 54 inch width machine the Latex 310 for customers whom aspire to reap the benefits of Latex printing technology but whom don't require a full solution and are concious of their short term budget needs. Not only have HP increased their roll to roll Latex range from just two models to four (The wider width L280 remains in the range) they have deftly side stepped all the competitons arguments about why not to buy Latex answering critics over the few flimsy arguments as why not to buy. The first significant change is to the heating system, this is not just a refresh but a complete reworking of the outgoing platform with a new external blower system, this change coupled with new ink and Latex HP 831 printheads reduces the working temperture of the machine and subsequently the power consumption requirements. HP's claimed benchmarking test against competitive equipment showed power consumption at just 3 euros more per month on the basis of a 9-5 working environment producing approximately 800 square meters per month of output. Significantly the 3 euros saving is easilly ofset by savings elsehwere in ink and critically warm up time, furthermore the lower operating temperture also allows for the use of a much greater range of medias including much thinner materials normally associated with solvent or eco-solvent printers. We were fortunate in being able to attend the Global Dealer Launch (one of only 5 UK partners) held in Palma Majorca in early April, this early preview gave us an insight in to some real core changes to the products. You may wonder why Three new machines to replace just a single device but HP have really looked at their customers dynamics. Hitting three core areas that both users & end customers now seek offering Quality, Versatility through extended Medias and increased print duribilty along with operator ease of use & of course a given with latex printing from HP unrivalled environmental aspects. The selection of latex machines available now extends the standard 60 inch outgoing L260 (L26500) print width to a choice of 64 inch or 54 inch, the production Latex 360 is 35% faster than the Latex 330 at 17 square meters per hour in 8 pass outdoor quality and additionally offers a unique ability to print on porous materials due to an innovative ink collector allowing for edge to edge textile printing on flag and other porous fabrics. The 360's 8 inch Tablet Control panel is probaly the best and simplest to use control interface in the market for any operator to use, whether skilled or novice, packed with pre-loaded ICC profiles & additionally free to access downloadable profiles straight to your device currently with over 250 avialable. Finally the other advantages within the 360 includes an in-built i1 spectrophotometer ideal where you need to maage colour constistency across a group of printers and OMAS for double sided printing with accurate allignment. 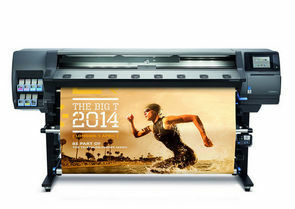 In addition to todays announcement HP launch two new Z series machines the HP Designjet Z6600 and Z6800 Wide-format printers both 60 inch and featuring new inks, quicker output times and some key benefits over the old 60 inch Z6200.